Starbucks does this (creating the total brand experience) well. 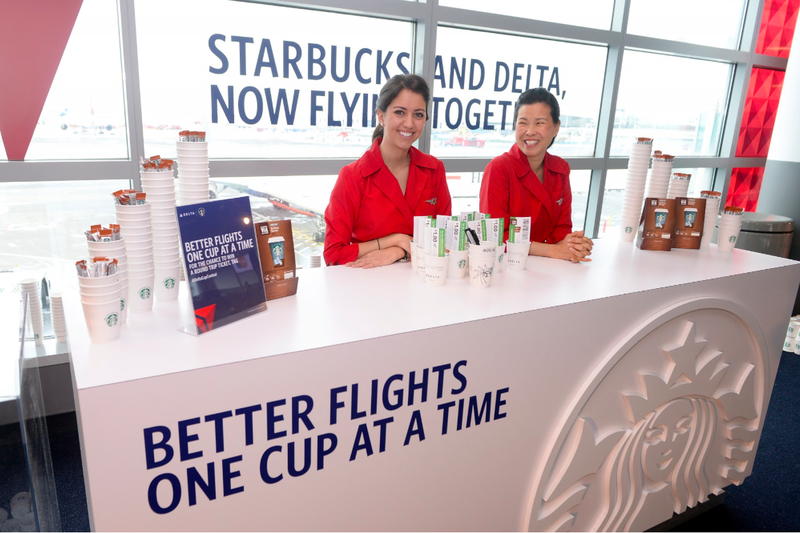 Not only is its product extraordinarily different from and better than a normal cup of coffee, but everything else the company does also adds to the brand experience. The stores feature carefully crafted, aesthetically coordinated components: the smell of fresh brewed coffee, a wide variety of unusual blends, exotic names (Venti Mocha Frappuccino), fresh pastries, piped-in jazz, comfortable wing chairs, a fireplace (some stores), live music (some stores), functional but stylish lighting, sophisticated design graphics, stylish merchandising, etc. I wrote the previous paragraphs for the first edition of this book (Brand Aid, 2003). Since then, Starbucks has experienced a long period of rapid growth through new store openings, geographic expansion, new product development, and selling Starbucks products through new channels (including five airlines) and retail formats (including Express, which caters to the “grab and go” customer). This demontrates the problem of growing successful brands. Starbucks products are now available in environments in which the company can no longer control the brand experience. 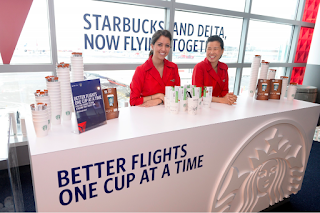 On an airline, for example, a passenger may get a cup of Starbucks coffee, but its preparation probably does not follow the company’s brewing guidelines—and it is served to a passenger in a cramped seat on a crowded plane, one of the least comfortable places anyone can imagine. Does this experience fit with the Starbucks brand? Certainly not. To continue on the growth trajectory, decisions are often made that detract from the intended brand experience. Is Starbucks still about that special “third place” experience, or is it now just another ubiquitous brand with mass appeal? The question, then, is how Starbucks can continue to create the total customer/brand experience now that it has become the largest coffee shop company in the world. With competing brands like Peet’s, Caribou, and Boulder Coffee taking market share away from the coffee behemoth and independent coffee shops appearing in many markets, Starbucks has to work harder than ever to preserve the emotional connection with its customers that made the company the leader it is today. Excerpted from Brand Aid, second edition (2015), available here.